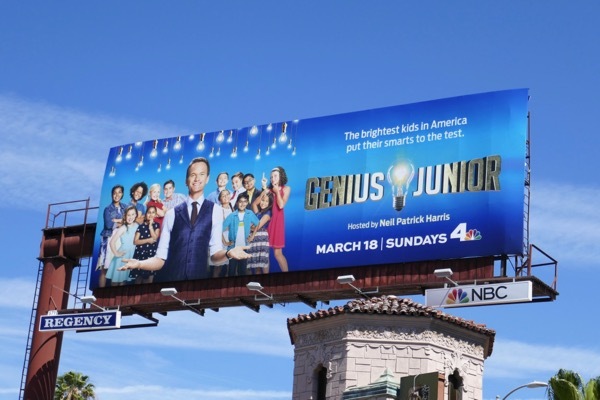 Recently Neil Patrick Harris has been seen menacing children as 'Count Olaf' in the Netflix adaptation of Lemony Snicket's A Series of Unfortunate Events, but now he's back to test them in a different way and celebrate the brightest kids in America in his new game show, Genius Junior. 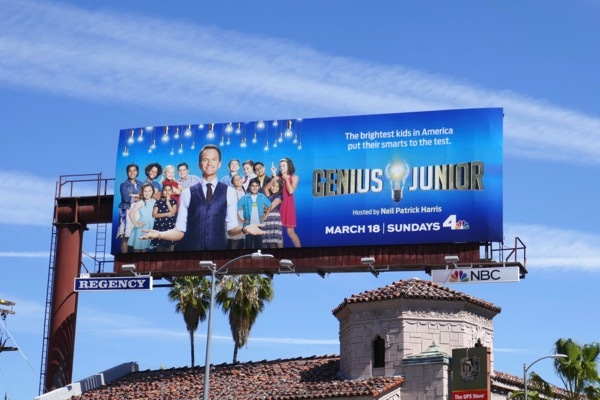 This new show sees teams of children aged 8 to 12 competing to prove their smarts in challenges and complex quizzes for the chance of being crowned the Genius Junior. 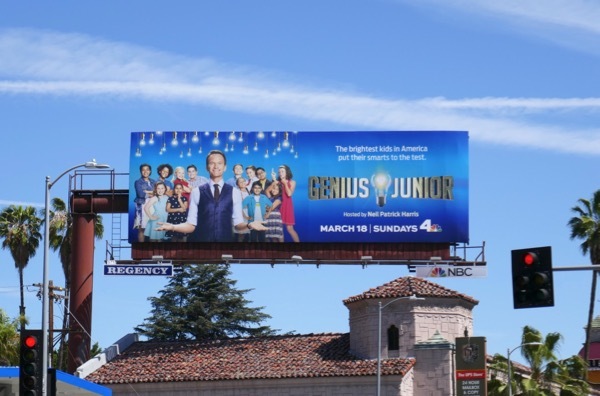 This series launch billboard for the new competition series was spied above Sunset Boulevard on March 15, 2018. Fans of Neil Patrick Harris can also check out these Best Time Ever billboards, these billboards for Lemony Snicket's A Series of Unfortunate Events and this billboard for the 87th Oscars which he hosted. They say never work with children or animals, so let's see if the brains behind this new show have had a light bulb moment with this competition format, or whether they should go back to the drawing board.